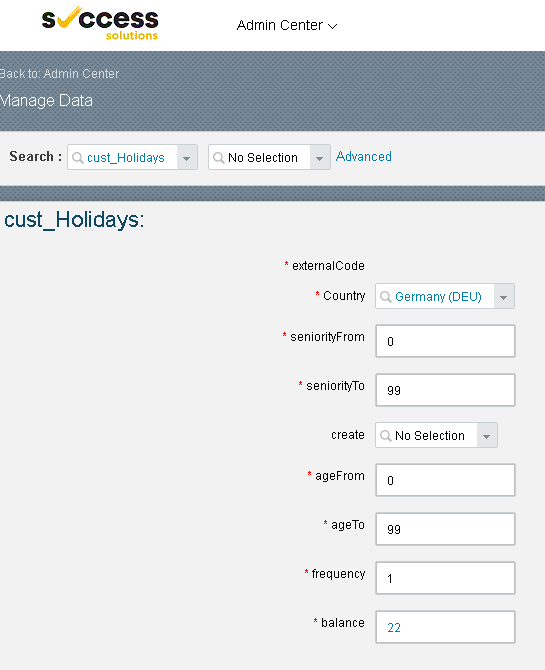 Whenever building time off solution it is typically divided into several rules based on each country/time type. What about to find a solution that is easy to manage from end customer and overall simple configuration that covers all possible scenarios. 4. before going to the rule definition let’s prepare the import file for the first use. You can see the data below and how easy/hard is to make some changes or adding new country (it needs additional steps but still easy to configure by the customer). It’s easy way to change just one entry or upload more changes at once. c) The calculation is based on balance/frequency – this approach allows us to be independent on the periodicity of the time account type e.g. we got and annual accrual rule for Czech Republic (see step 4) and we have balance 25/1 so each year the employee will get 25 days. Another example is for GBR where the calculation is with frequency 12. The GBR time account is with accrual frequency monthly and the calculation will be 22/12 (for seniority 0-2). Simple and easy to understand and very flexible. d) the lookup table definition is really straightforward, based on the seniority, age and country of the employee (based on JobInfo) we can easily select right balance for each individual. Is this all? No, it’s just an example. What are other topics to cover? 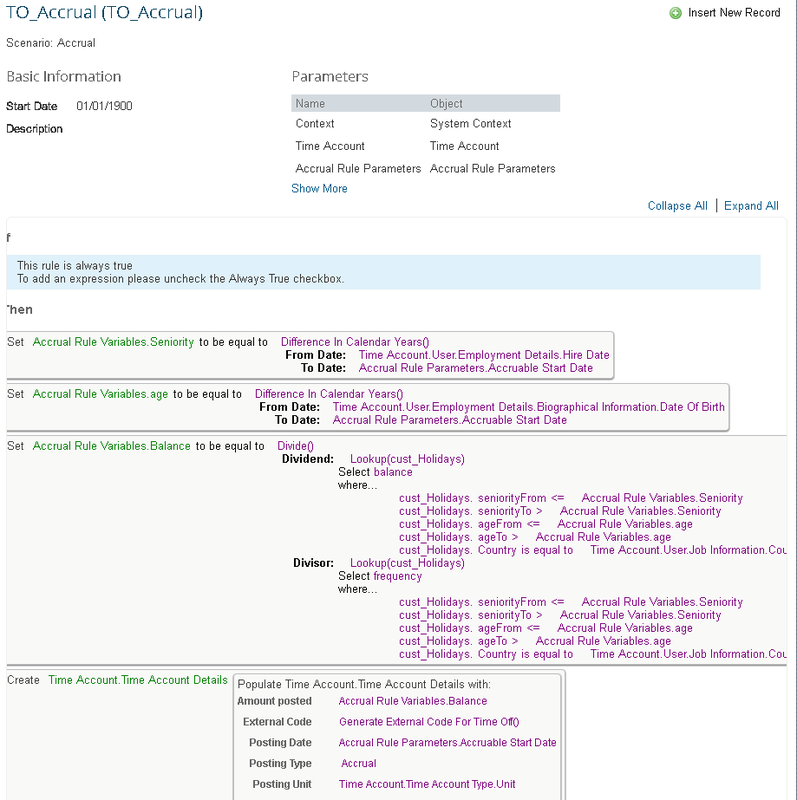 You can build all of them, maybe you will need to make some adjustment to the main lookup table to cover your customer specific requirements but that’s all. Could we use it for different time types other then holidays? How much time is possible to save with this approach? We are doing time off for 48 countries and 3 of them have special exceptions that aren’t relevant to others at all, what to do?